If you’re keen to get involved please do keep an eye out for upcoming dates posted on our Events page. We’re returning to our spiritual home @RichMixLondon on Sunday 16th April 2017 for a special showcase event, featuring some of the hottest London talent to grab a microphone! Doors open from 7.30pm SHARP! Don’t be late or you’ll have to squeeze in at the back or listen from the foyer! Got Talent? Share Talent! Support Talent! May Day, May Day, Hot Acts everywhere! 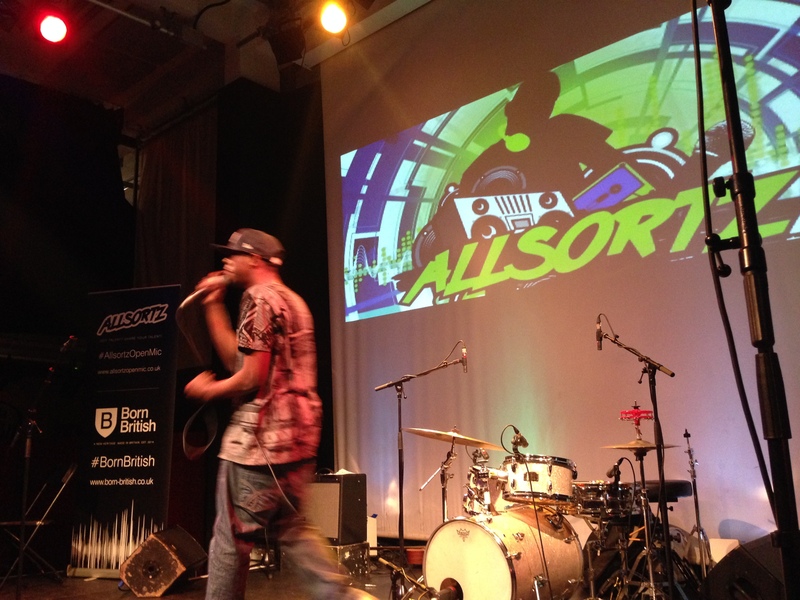 Allsortz was back in May with another fantastic line up of talented performances from a line up of creative London artists. The evening was kicked started with rappers Billy Stone and Mr. Dublin; starting with a relaxed collection of UK Hip hop and Jazz Hip hop – really bringing out the chilled Sunday evening vibe. The two began with their original piece “Where Did I Go Wrong”, explaining the journey that he has taken and what it takes to get back on track once you have made mistakes. Next up was wildcard Dhark Knight who performed a collection of pieces, touching upon the issue of beauty being defined by social media at present, he then moved on the perform a short acappella piece about the struggles of growing up and trying to make it to where he wants to be. Other wildcards of the night were: Henry Albert, a talented rapper who performed some smooth Hip hop really moving the audience with his piece “I Got You”; Samuel King, a comedian who successfully had audiences in laughing at the familiarity of his subjects – including politics, stretching money and family drama. Also to perform were: Mr. Elliot – who also performed a dynamic comedy sketch; Kyronne and Tudor – a duo consisting of a rapper and beat boxer demonstrating some incredible skill and technique; and spoken word artist Kayrond who performed one of his original pieces, reflecting his incredible creativity. The next main act to take to the stage was spoken word artist Kush, who began with an emotive piece about being an inspiration to yourself and to others around you. The diverse performer then went on to disprove the notion that men have no emotion, highlighting something as a simple as sending a text message can stir a whole range of feelings. His final piece provided some very wise poetic words about the barriers interracial relationships; different cultures and backgrounds can pose. Following this was a moving performance from Boy Nash who began with a spoken word piece about the struggles of a nation and the necessity of offering a helping had to others less fortunate. He then went on to perform an original rap piece before introducing rapper Jay Script to the stage – who performed one of his own pieces demonstrating his lyrical genius. Up on stage with a well timed, bold entrance was Presh Williams alongside a live band. The artist immediately impressed the rich mix audience with his catchy and vibrant tunes and mix of styles. The band, performing for the first time together really wowed audience members with their skill and powerful sound. The last but most definitely not least performer of the night was young rapper DC Scribbla, who as always had the audience moving and singing along with his highly energetic performance. His pieces of the night included “98 Flows”, bringing an American flow to London and also an exclusive performance about his experiences of being an artist. First to be introduced to the Rich Mix stage was rapper Lemzi, who kicked off with his piece “No Place Like Home”, touching upon the hard hitting theme of abuse and disruptive family relationships. The inspiration rapper also continued to perform his pieces “I Don’t Wanna See You Cry” and “Regulate Yours” which resulted in some friendly audience interaction really getting the crowd going. The set incorporated a range of styles including some modern jazz hip-hop, and an old school rap flow. 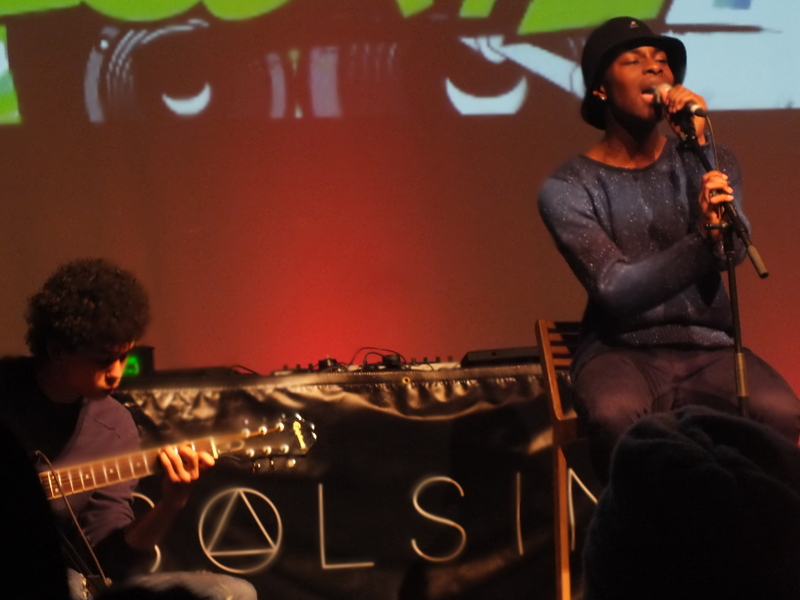 Following this was a beautiful set performed by the extremely talented Prizz alongside his guitarist James. Performing for the first time together, the duo warmed those present with some incredibly mellow vocals and unbelievable skill. The artist performed his songs “Simplicity” and “Stay” leaving the crowd moved. Resuming the main slots was the outstandingly gifted Kit Rice, who blew the audience away with his pieces “BYOB”, “You Really Need e”, “Rearview Mirror” and “So Gone”. Not only did he perform with great pizazz but also his original pieces really unveiled his diverse and impressive vocal skills. Last but most certainly not least on stage were the very dynamic, stand out performers of the night OMG Collective, currently made up of five members. Together the group closed the night with their quirky lyrics, comical and highly interactive performance of their pieces “Facebook Thing” “Babble”, “Over Rated”, “Inhibitions” “Neyo Groove” and “Bounce”. 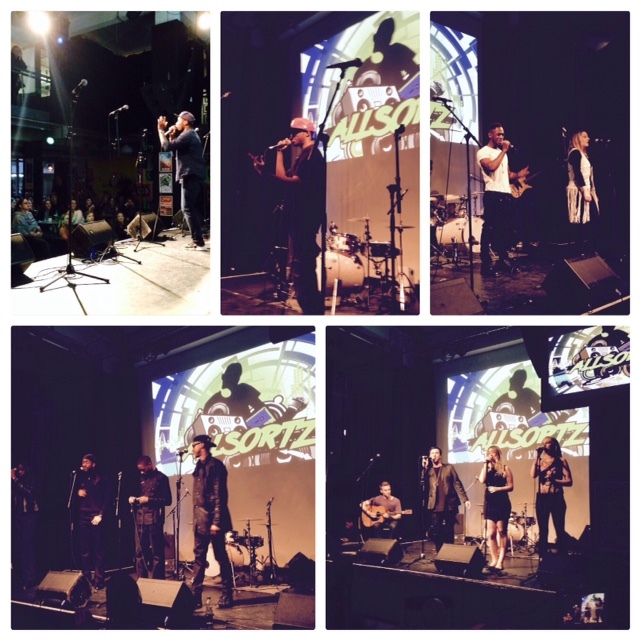 A fantastic way to end an incredible evening of raw talent in London! Check out the videos from our latest event here! Got Talent? Share Your Talent! Next in line was the highly versatile singer-songwriter L’, along with her band who brought to the stage masses of energy. This included their songs “Your Girl”, “Today I Wanna Love You”. The awesome group of musicians had audience members on their feet singing and dancing along with the lively performance. An amazing performance for a group that has only been together for a couple of months. Next up was Iden, the wonderful Icelandic/Swedish duo performed a series of slow, emotive and captivating pieces really stunning audience members with their musical diversity. In this set they incorporated a mixture of rock, pop, pop soul and alternative music. The final act to bring the night to a close with a bang was a collective group of musicians that go by the name of Hands. Their performance was entirely unique with a combination of art forms inspired live by the musicians on stage as well as the use of some unconventional instruments. The group performed their pieces “Rain” and “China Doll” which featured a very ambient flow that transitioned into a more alternative vibe. Allsortz Open Mic was back this month with yet another fantastic line up of performers and artists at East London’s Rich Mix. Next up was wildcard Kyroe, a rapper from London who brought with him masses of energy in his rendition of “Get the Funk Up”, as well as a few of his own original pieces addressing the challenges that life may present that can be over come through a proactive attitude and independence. The second wild card of the night was spoken word artist… who performed his original piece “Message from me to you”, the talented poet had audience members in silence with his very honest and moving piece. The final Wildcard of the night by the name of John K Wilkes brought with him a whole different vibe, transforming the event with the calming and relaxed vibe of the smooth alto sax. 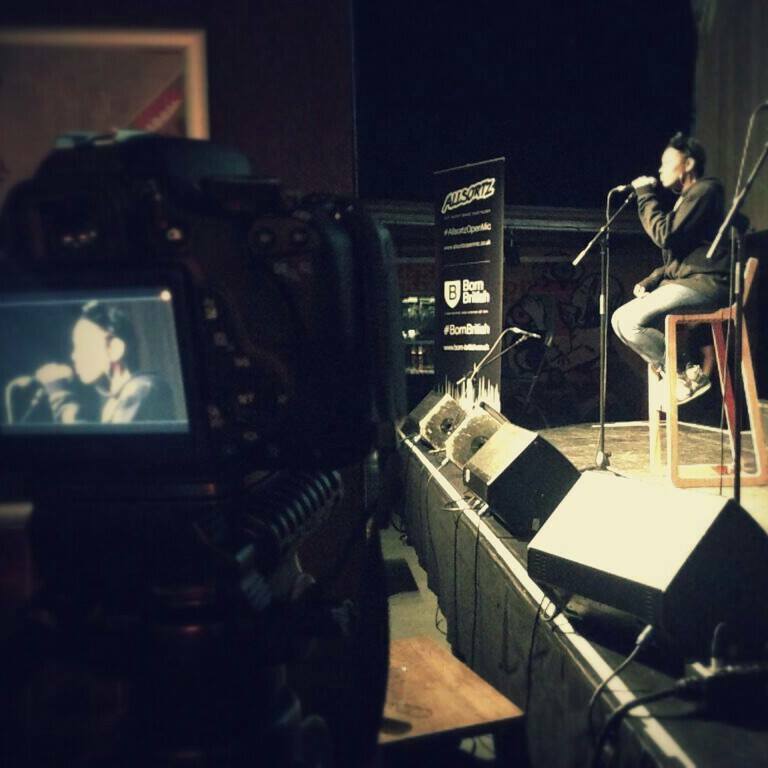 Next to take to the stage was singer-songwriter and musician Ayshamar. The soulful singer performed a set of stripped back songs including acoustic versions of “Twice” – Little Dragon, and “Never Felt This Way” by Alicia keys. Ayshamar also performed an original piece entitled “Fallen Angel” touching upon the relevant themes of abuse, faded innocence and self acceptance. Following this was a performance from spoken word artist Rae The Poet who performed her pieces “Letter To My Unborn Child” and “Drunken Thoughts and Sober Actions”; both of which pieces take a mature approach in speaking of tackling abortion, teenage pregnancy, the challenges of bringing a new life into the world and the mistakes of a drunken one night stand. Some extremely wise words from a young poet. The penultimate act of the event was from the mellow duo, Sister Sidney. The inspirational sisters performed two outstanding covers: “Without you” and “Party and Bull***” – Rita Ora; creating a great atmosphere and engaging the locals at Rich Mix. The final act of the evening was Solsine who brought Allsortz February 2015 to a lively close! The groups of collective performers (ft. Hannah Symons – currently a contender on the voice) performed a mixture of genres including club, house and electro-pop, created a club like mood with their atmospheric lights and charismatic style. By the end of the night, all audience members were on their feet, singing and dancing along! Definitely a great way to end the night with a bang! Remember to Subscribe to our Youtube Channel and Twitter accounts to keep up to date with all the latest events! The first artist to grace the stage was Hannah’s Marines – a band consisting of singer songwriter Hannah, a guitarist, a bass player and a drummer and backing vocalist; definitely bringing along with them mellow pop/indie vocals and some chilled vibes which was perfect for a Sunday evening. The group performed their pieces “Homecoming” and “Silence” of their latest E.P now available on iTunes. Next to entertain the audience was rapper Kyroe, who performed a few tracks from his original mix tape “Chapter”, a mash up of So Solid’s “21 Seconds” and a rendition of James Brown’s “Get the funk up”; this without a doubt gained the participation of the crowd and certainly got people moving. Next up was the inspiration TKO and first wild card of the night. In his piece, which was only completed minutes before his performance, he tackled the issue of a friend battling depression; this brought a sense of honesty and sincerity, leaving the audience with food for thought – an astonishing achievement for his first performance! Our next wildcard also performing for the first time was rapper AK. 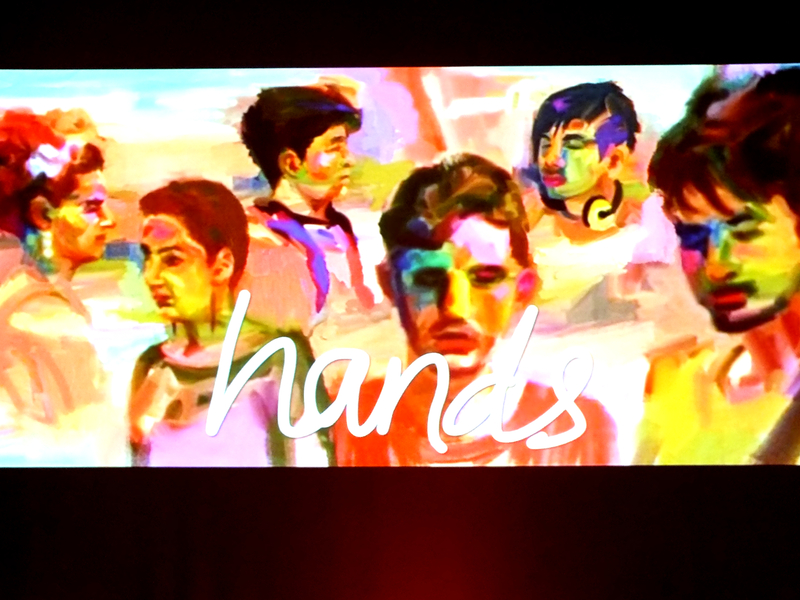 Despite only finishing his piece the pervious day, Akz brought an elevating message about making changes to the world and how social barriers may cause this to be challenging. The next wildcard was Rae The Poet, who delivered a quirky piece entitled “Drunken Thoughts and Sober Actions” looking at self worth, self respect and the consequences of this state of mind. The last but not least wild card performance, was brought to us by Vengeance who performed an acappella displaying his clever rhymes and lyrical phrases about the challenges life holds, the importance of hard work and a positive mind frame. Our next main act and stand out performance was from J the exodus, who graced the audience with some hip-hop, acoustic, rhythm and blues. The singer along with his group and singers Cyrin, Joelle, and Nate performed a few old school style soul pieces including “Calloure” ft. Joelle and “Guiding star” from his E.P titled “Through Darkness Came Light”. Next up was a dynamic duo by the name of Kaipax, presenting some urban acoustic soul including their piece “Lock and Learn”. The two guitarists and vocalists, both well established on their instruments received a warm response to their performance in the run up to yet another successful Allsortz night. The final acts on stage were DC Scribbla and Lord Apex. The lively duo began with an original piece from Lord Apex reflecting the difficulties and challenges that occur on the journey to being successful. The young American old school rapper DC Scribbla then joined him on stage an began with a relaxed interlude clearly demonstrating his immense talent. DC also performed his catchy originals “98 Flows” and “Valentine”. Remember if you’re interested in performing or coming along to one of our events get in touch!